Fauré is one of those composers whose names have been made from just a handful of works, odd considering his considerable gifts. 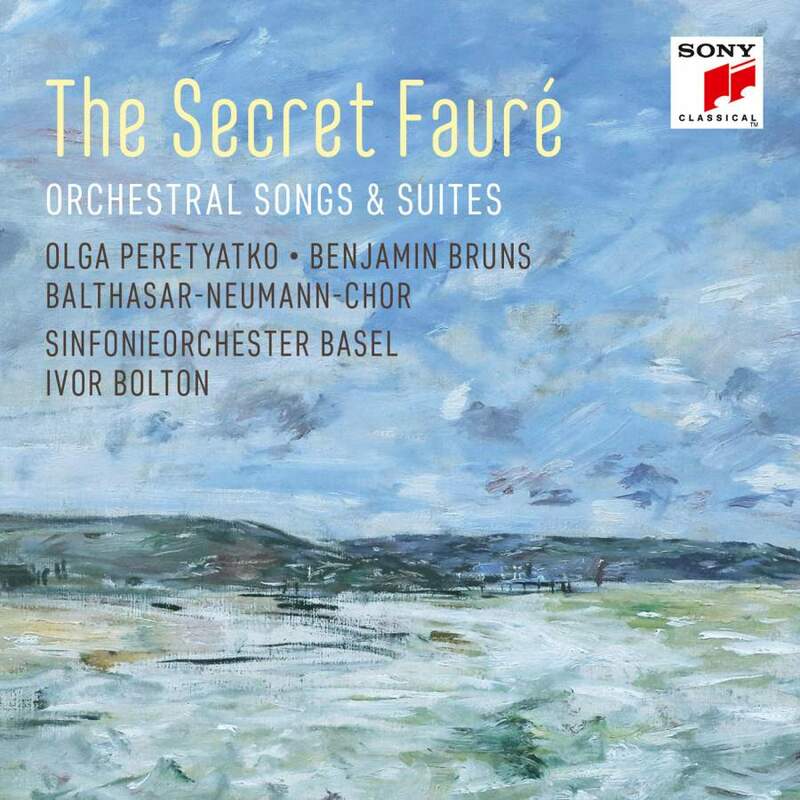 This release is a worthy dive into his back catalogue by conductor Ivor Bolton and the Sinfonieorchester Basel, who play with sensitivity and style. Hands up who’s heard his Caligula? Incidental music for a Dumas play, it’s unapologetically bombastic stuff with a film-score sheen. The players revel in it, dispatching the joyful dance-rhythms with flair and bringing a sinuous quality to the more intimate passages. The women of the Balthasar-Neumann-Chor are similarly splendid, captivating in the closing César a fermé la paupière, a brilliant example of Fauré’s gift for melody. It’s followed by more incidental music, this time for a French adaptation of Shakespeare’s The Merchant of Venice, titled Shylock. It’s a fragmentary work that’s not entirely satisfying, but the striking Nocturne is beautifully played, and the two tenor solos are idiomatically performed by a sweet-toned Benjamin Bruns. The Prelude to Fauré’s little-performed opera Pénélope likewise gets a convincing reading, robustly played with moments of real delicacy. The Russian soprano Olga Peretyatko features on a set of songs midway through the disc. Her rich voice does need some adjusting to in Fauré’s more tender pieces, but this doesn’t hamper the quality of her performances. The perfumed Les roses d’Ispahan is affecting, her conversational delivery and the dark glow of her instrument instantly bewitching. Soir and Clair de lune show an attention to text that’s very special, but just misses out on the languid quality that seems second nature to the French. Unfortunately, Après un rêve is given an unpoetic reading that leaves one cold, and she gets bogged down in its expansive lines. Never fear, she rallies for a memorable Chanson de Mélisande, her English diction fine, her singing throbbingly expressive. The orchestra is also really special here. The Filieuse is not just beautiful but threaded through with agitation, while the Prelude is despatched with great eloquence. Much to savour. A hybrid favourite gets the intimate chamber treatment. Ahead of its season opener, Bel a cappella's Anthony Pasquill discusses giving the Australian premiere of a work by Caroline Shaw. A WWI artefact offers a song of sanity in a world gone mad. A reliable repertoire graces the new self-titled release from Charmian Gadd and Phillip Shovk. Recorded two years ago at the Sydney Conservatorium of Music, the album features three sonatas for violin and piano. All in major keys, the works offer a chance to carve out an hour-or-so and indulge in some fine 19th-century music. Gadd’s timbre on violin is luscious with high frequencies in the opening Brahms Violin Sonata No 1 in G. Shovk burbles away with a neat brush of the keys, which satisfies the need for a fuller and warmer foundation of sound. In his notes, Shovk informs us this work is in the style of Beethoven – perhaps a reason he chose the master’s Sonata No 10 in G to complete the album. But sandwiched between these two legendary composers is Fauré: his Violin Sonata No 1 in A. A pivotal work in the chamber repertoire, Fauré’s music is composed and performed with affection (except during the rumbling momentum of the Allegro vivo). The Beethoven eventually arrives with a frisky little trill, instruments echoing each other before joining in rhythmic unison. In this Allegro moderato, Gadd and Shovk bare their abilities to respond acutely to each other’s musical approaches…. Believing in being Franck: A Polish detour adds spice to Little and Lane's French day out. The 92-year-old pianist talks Fauré, Ravel, Nazi Germany and feeling the hand of God. Maestro and pianist Howard Shelley celebrates 30 years with the Tasmanian Symphony.